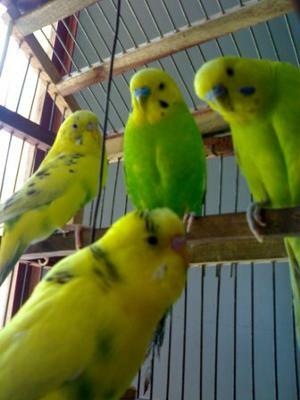 THESE ARE MY CUTE FOUR PARAKEETS. My reply: Thanks for the great photo, they look so cute. The one on the right hand side looks really interested in what you are doing.